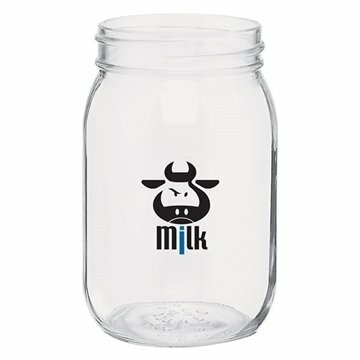 16 oz glass mason drinking jar with threaded top. Customer service was excellent and fast, would definitely order this product and others from this site again. It is a great promotional item. there was nothing I didn't like about it! Quality product at a reasonable price. Received the product extremely fast. Great service. Looks really slick and at a really good price! Order arrived faster than expected! Nothing bad to say about it. I bought this item for our teachers, plus they appeared extremely pleased using the product. Overall it is a great product and went over very well at the event.